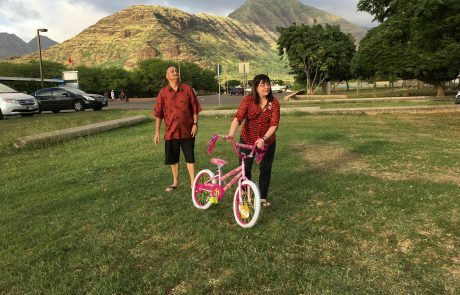 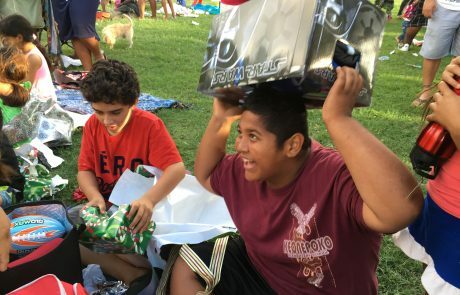 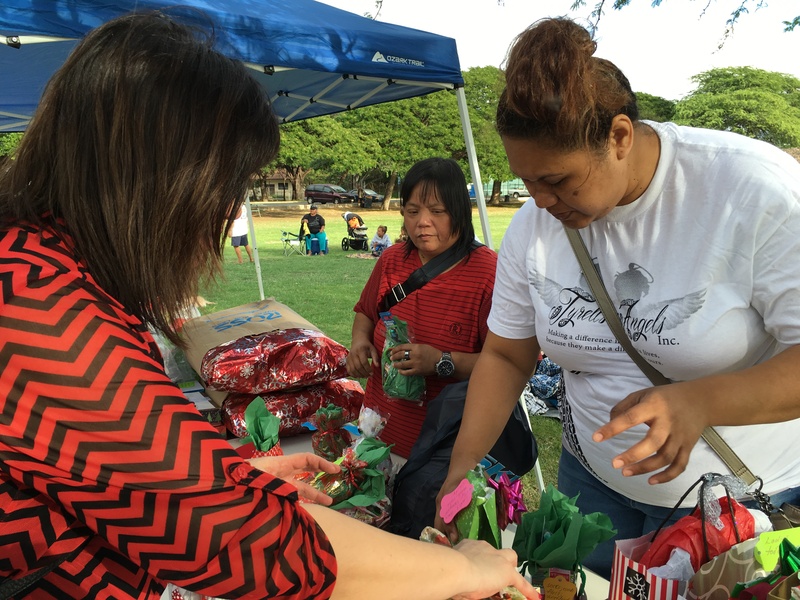 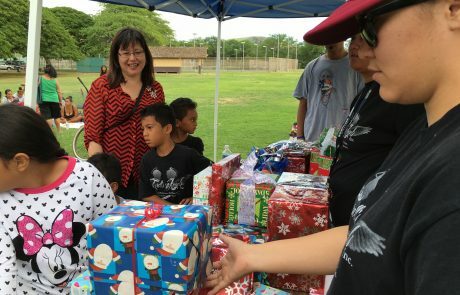 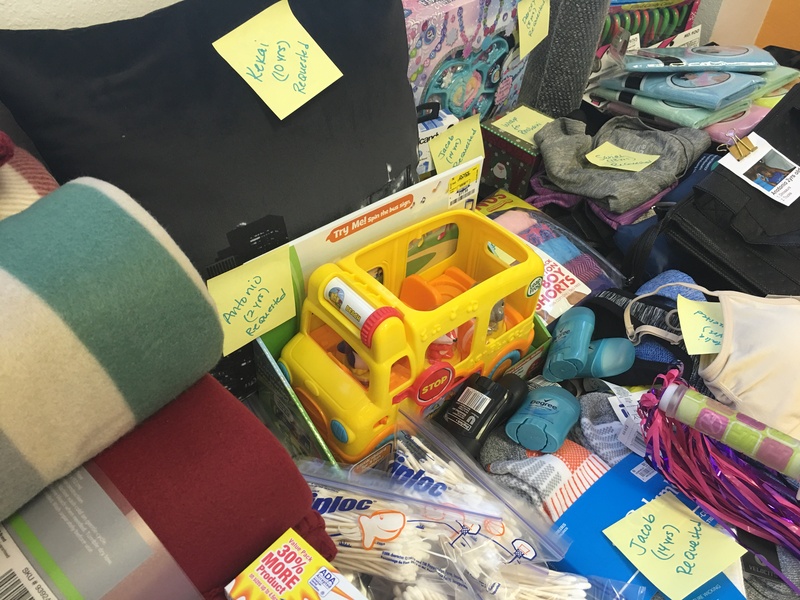 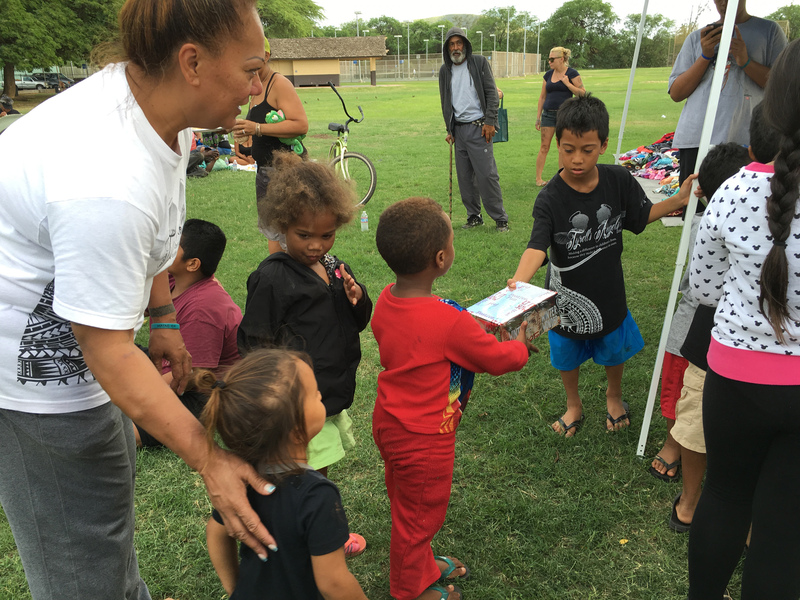 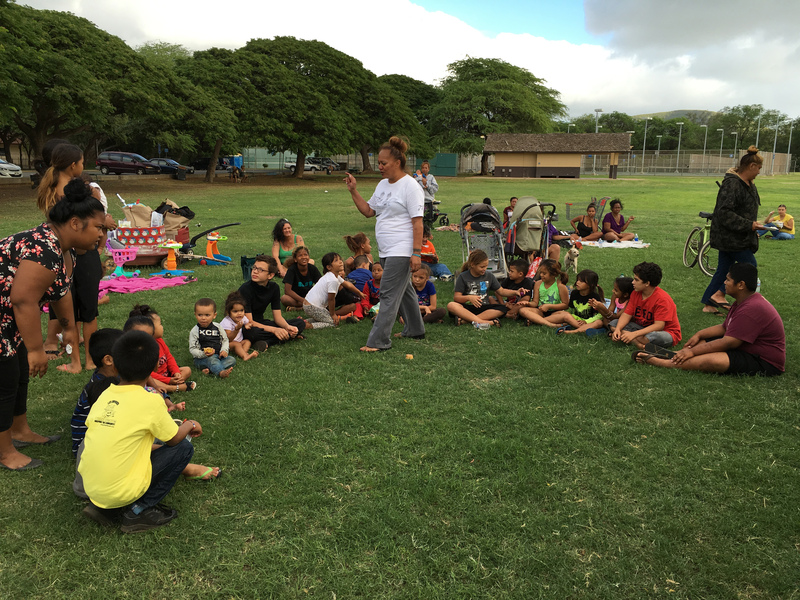 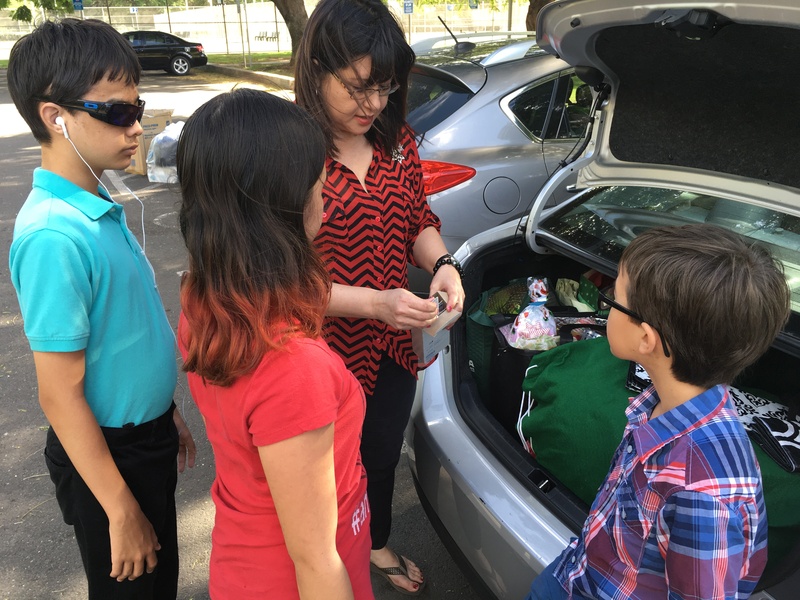 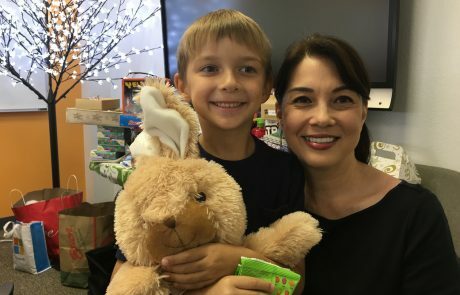 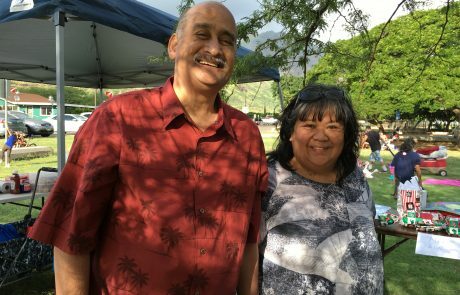 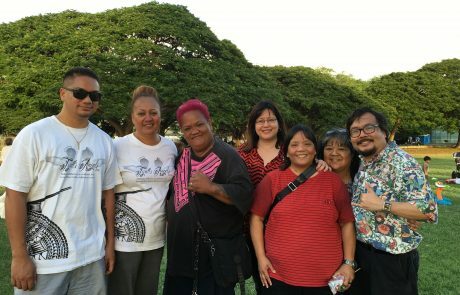 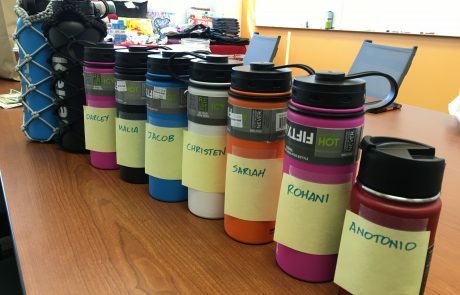 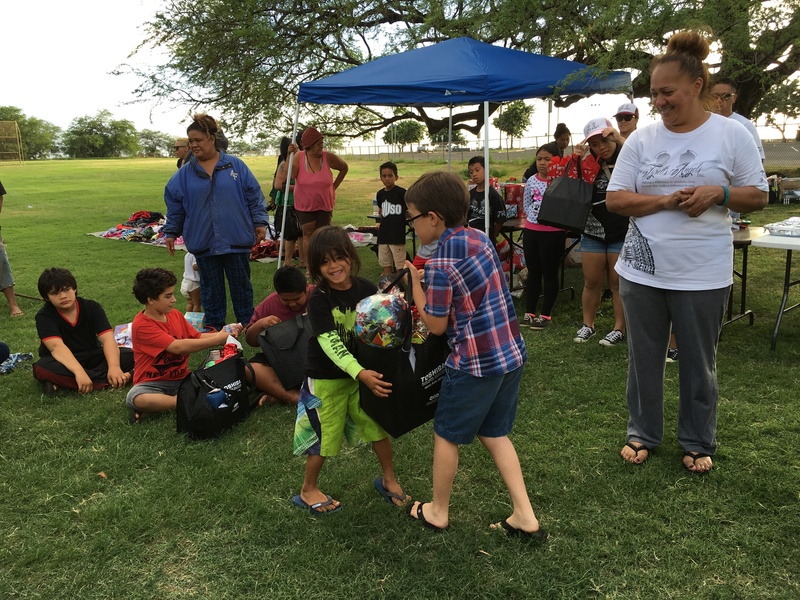 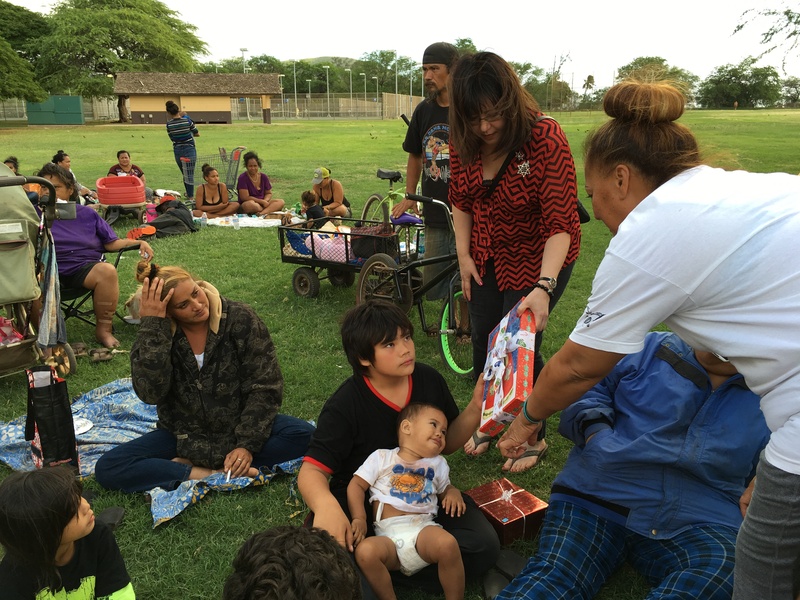 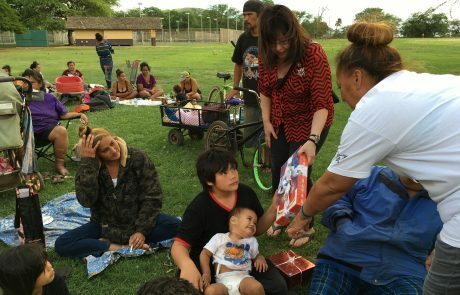 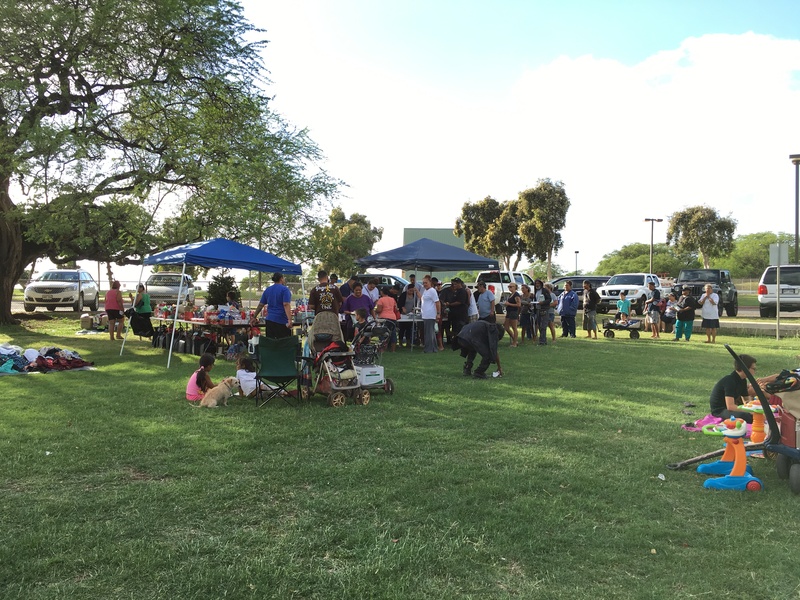 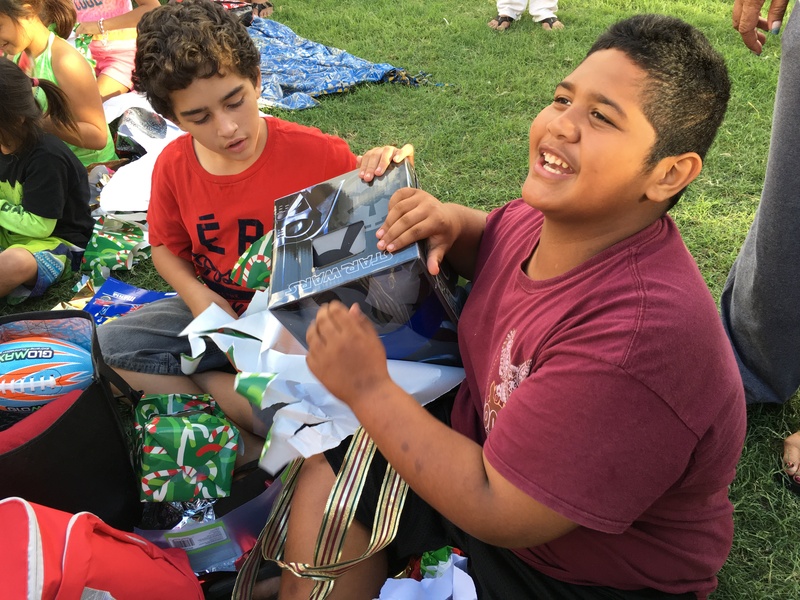 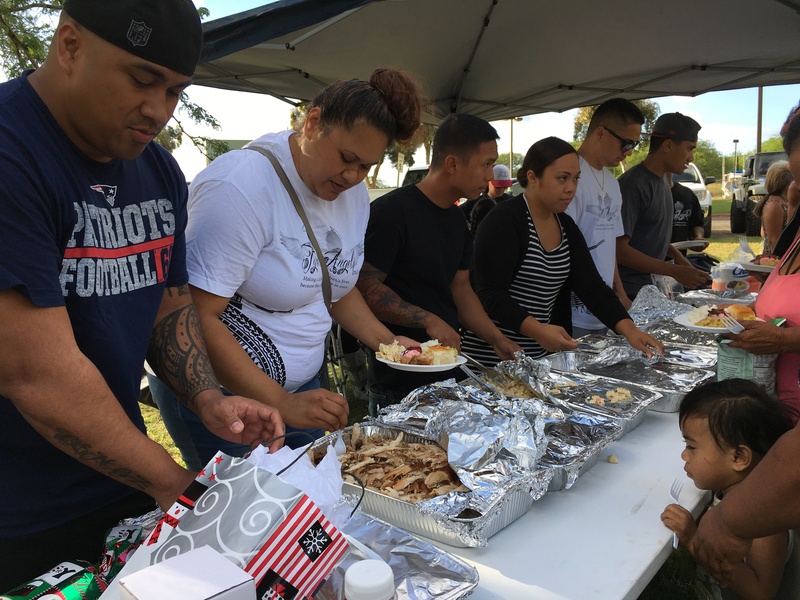 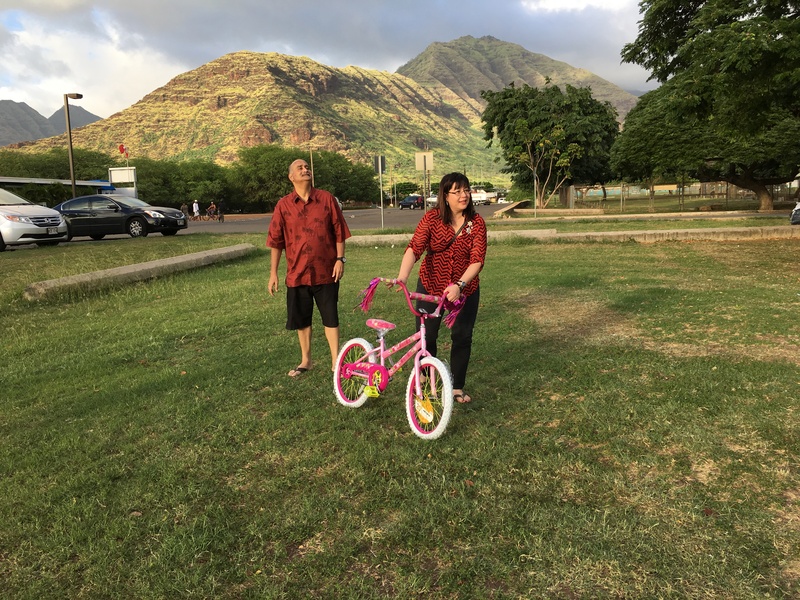 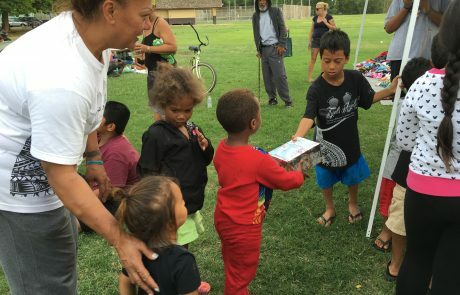 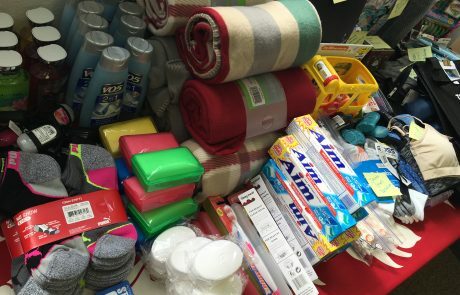 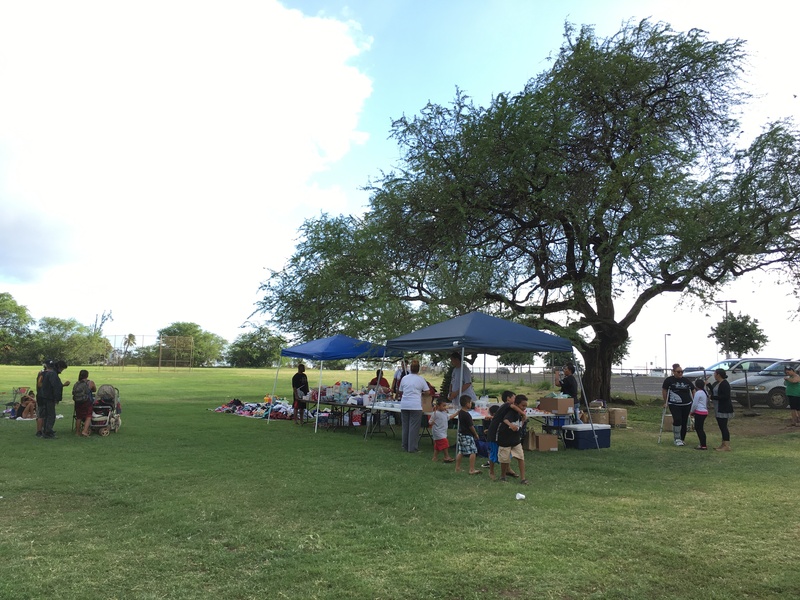 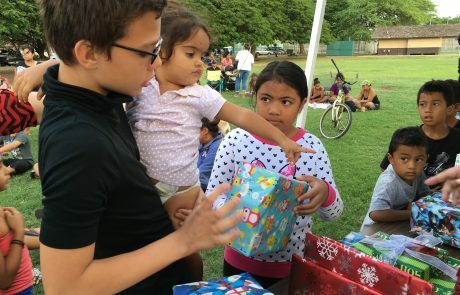 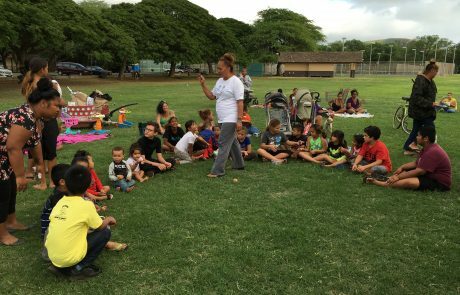 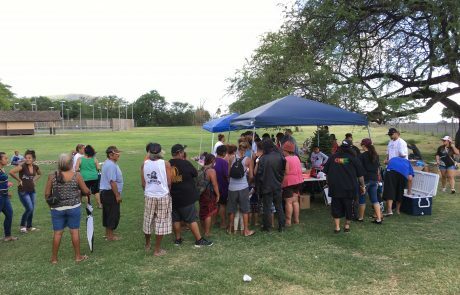 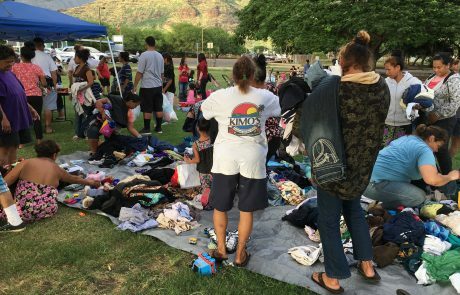 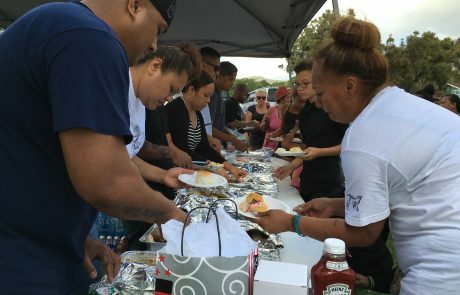 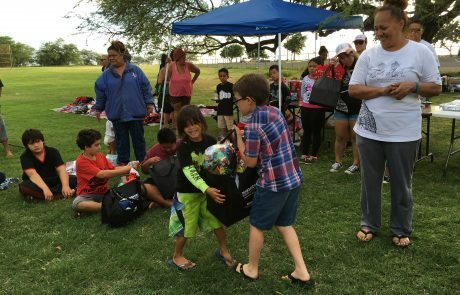 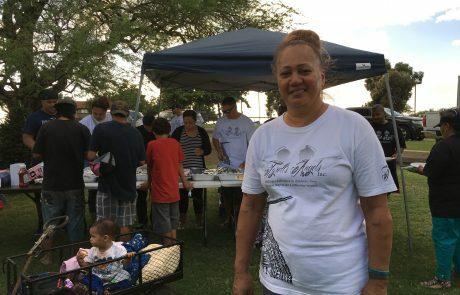 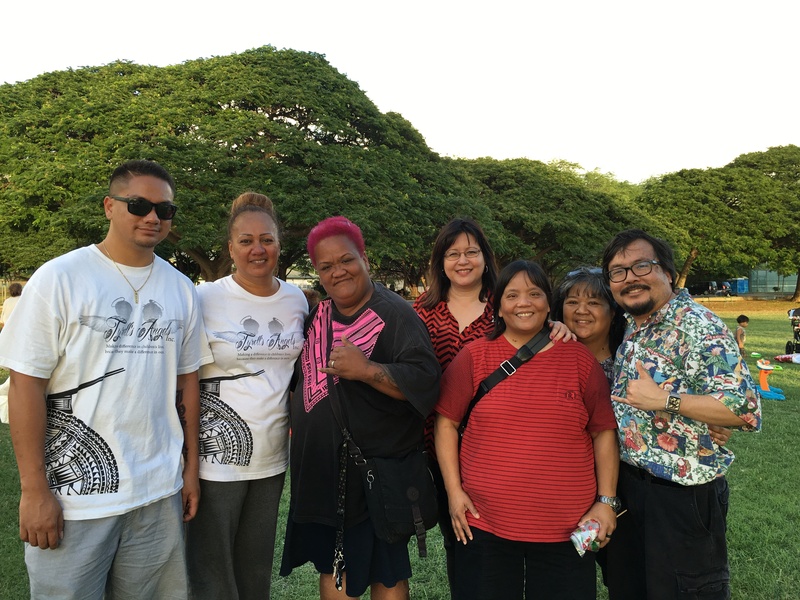 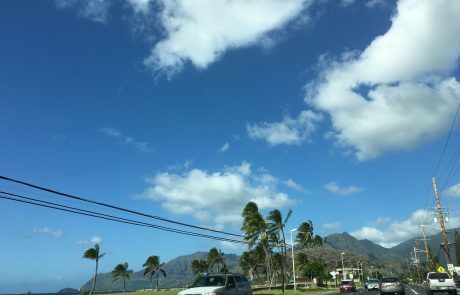 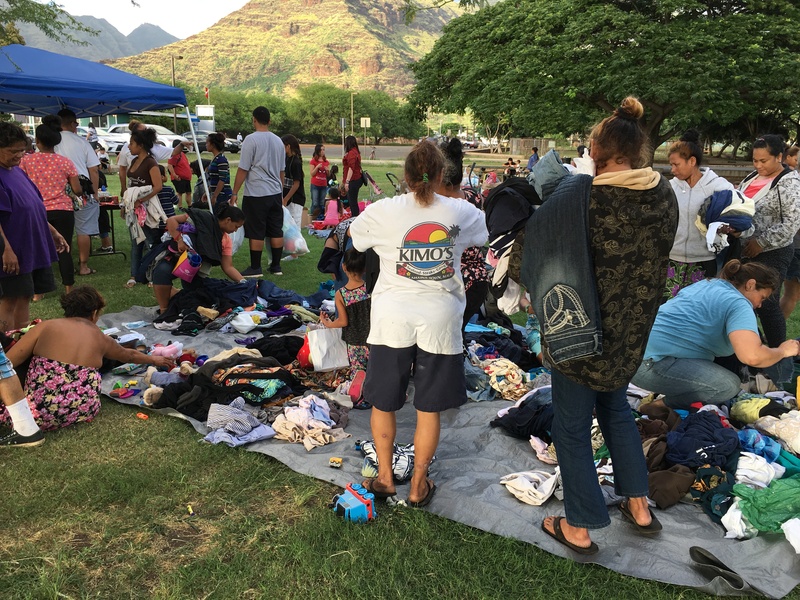 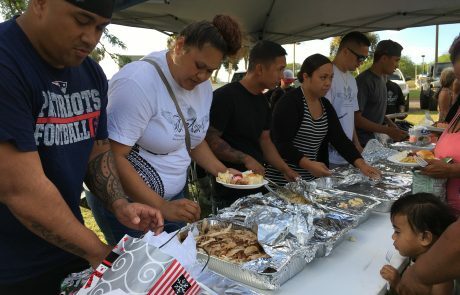 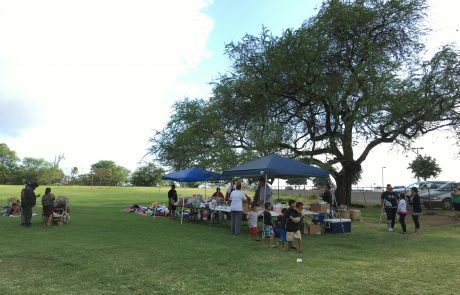 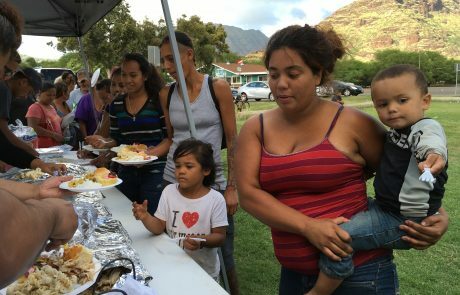 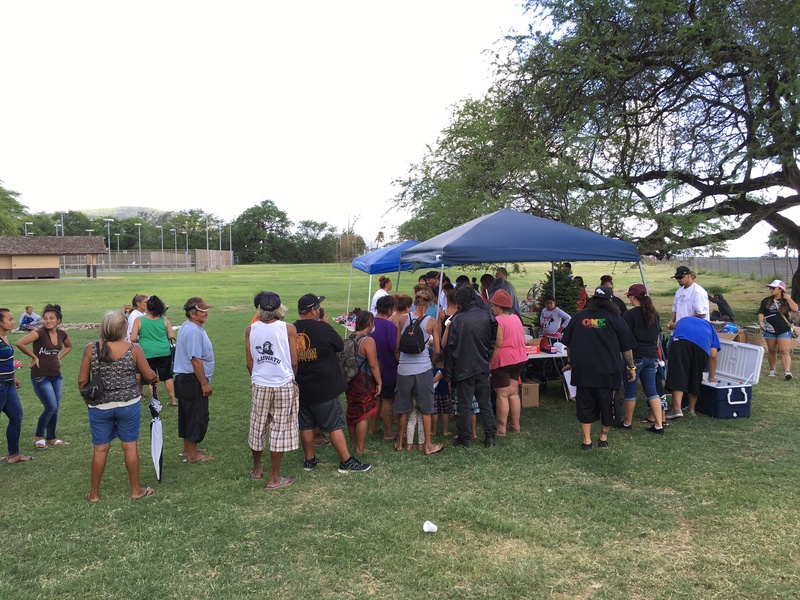 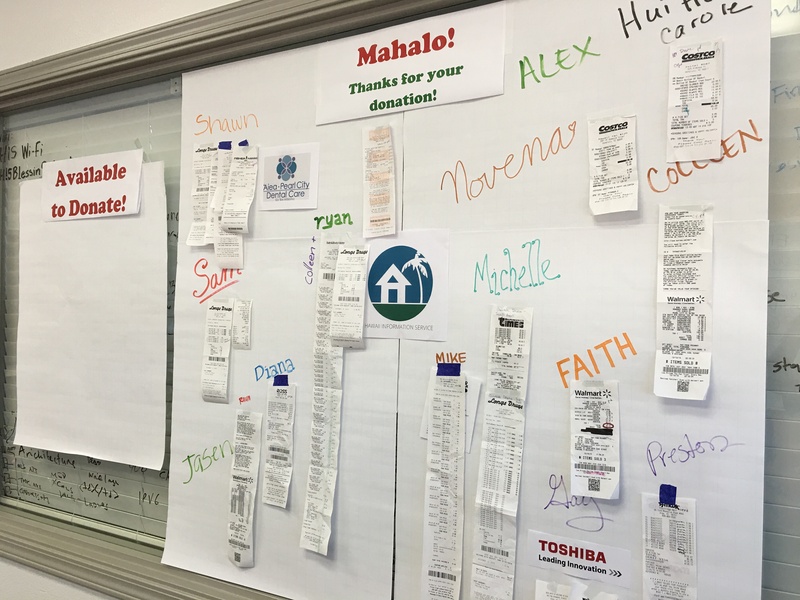 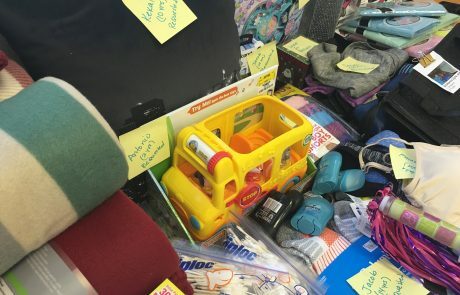 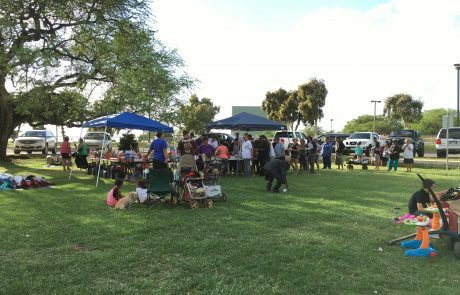 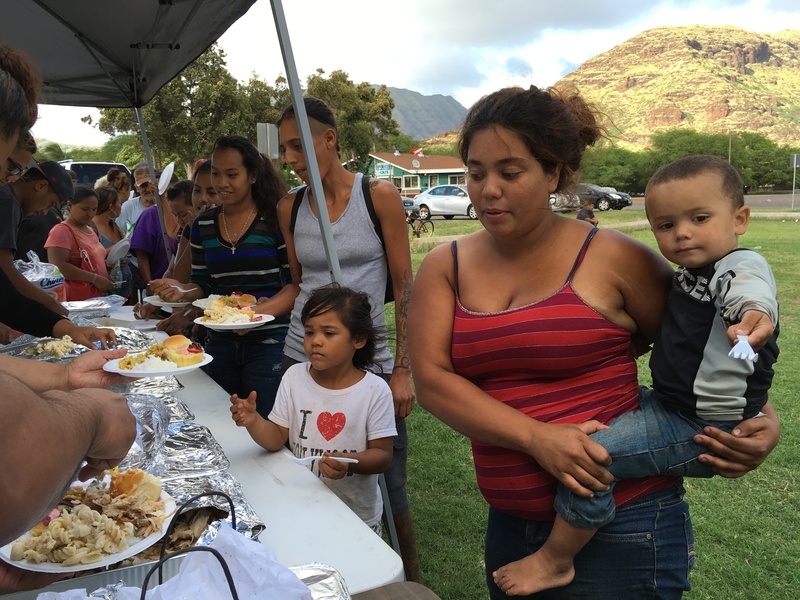 “Pu’uhonua o Wai’anae,” the homeless community in West Oahu documented beautifully by Civil Beat last month, our staff — led by VP of Sales and General Manager Colleen Yasuhara and CEO Faith Geronimo — sought out a way to help. 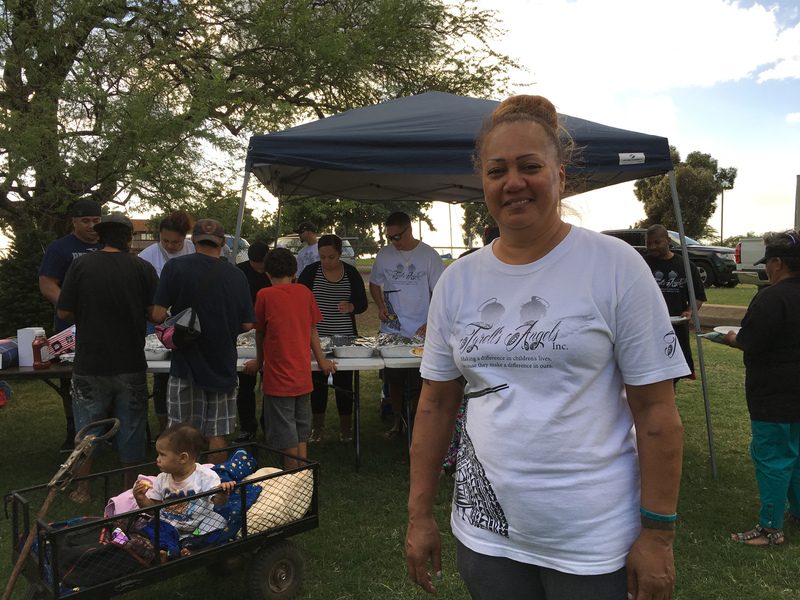 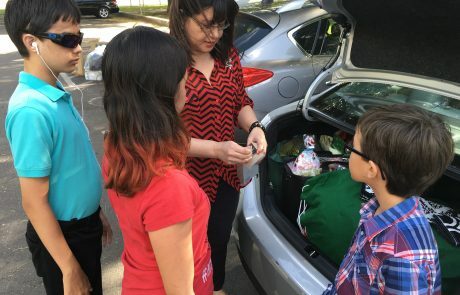 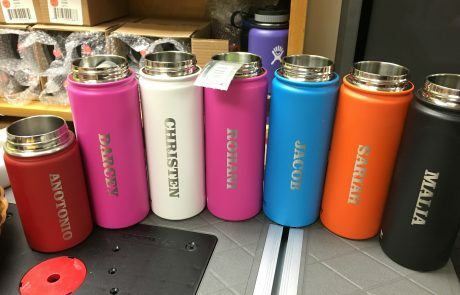 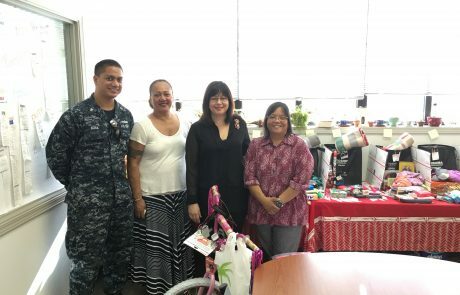 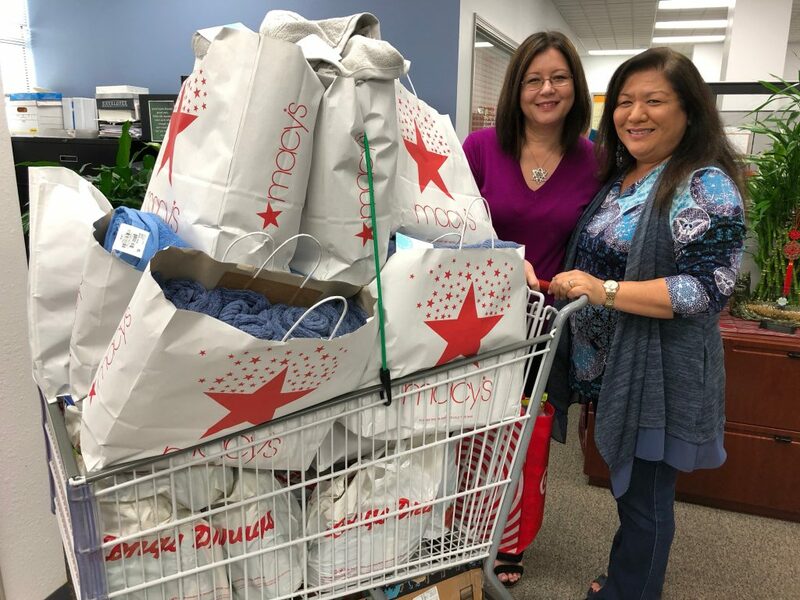 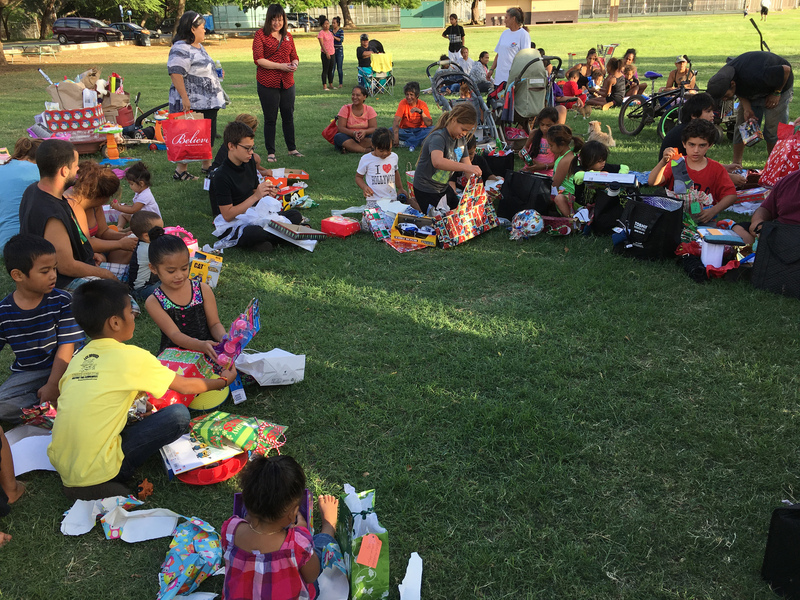 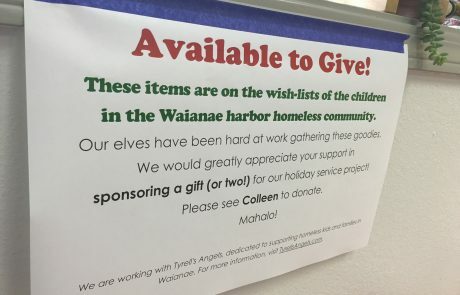 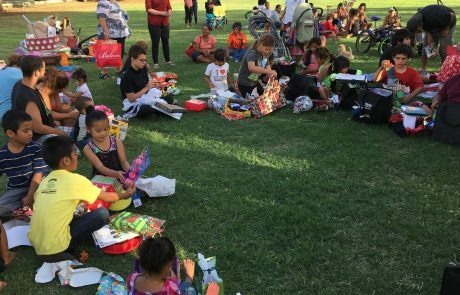 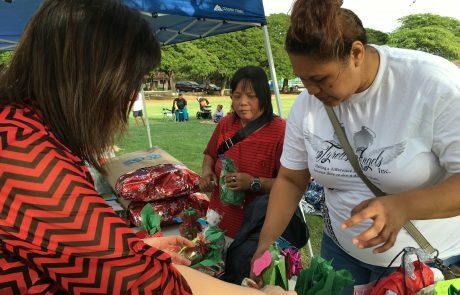 We connected with Tyrell’s Angels, founded to support homeless children, which has worked with the Waianae camp for more than three years. 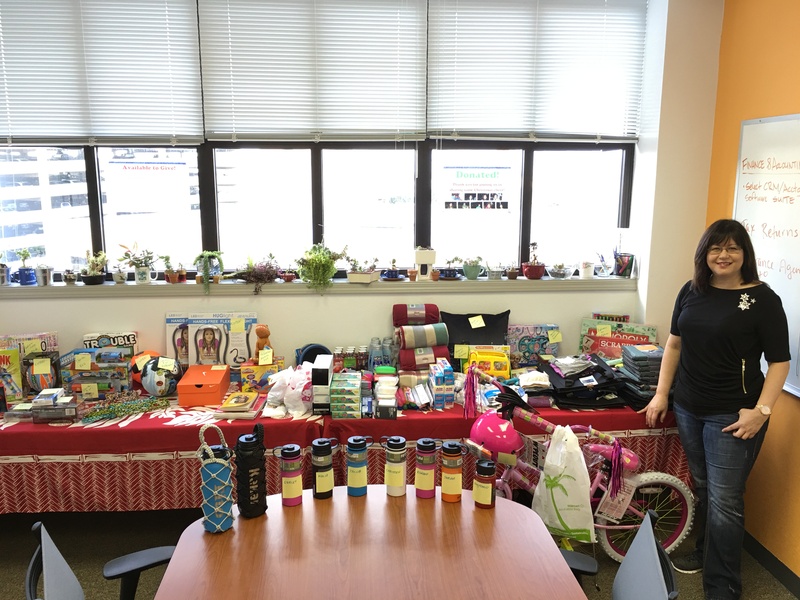 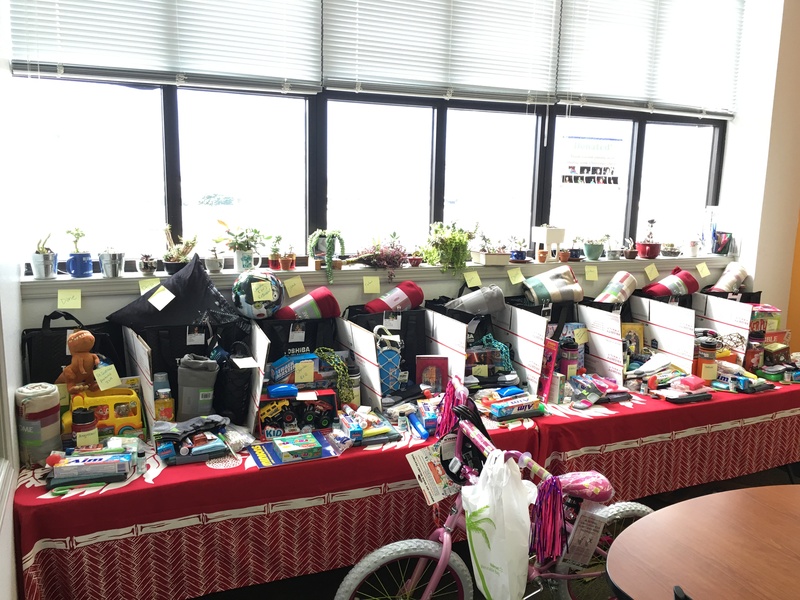 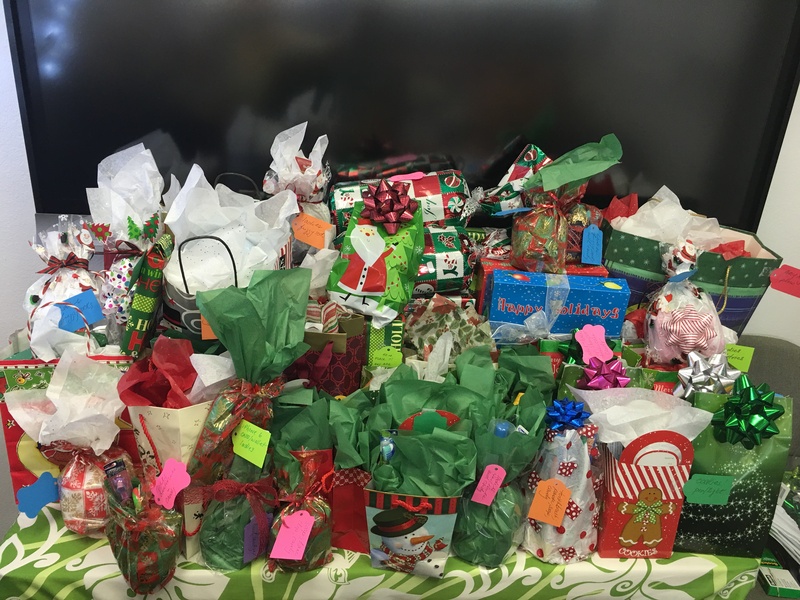 We then kicked off a donation drive to fulfill the kids’ wishes on the ‘Angel Tree’ as well as gather gifts and supplies for their families. 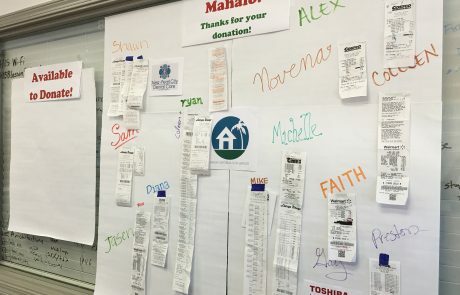 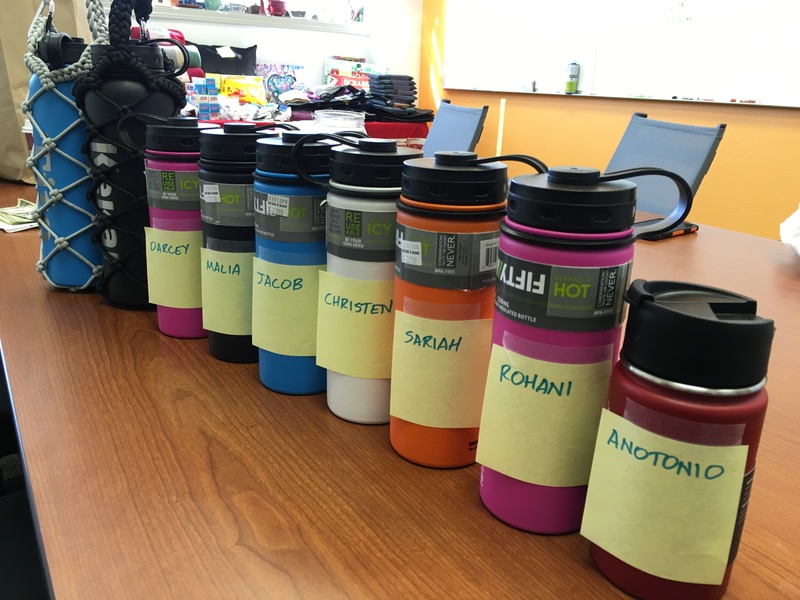 Our employees gave generously to answer the call, and then some. 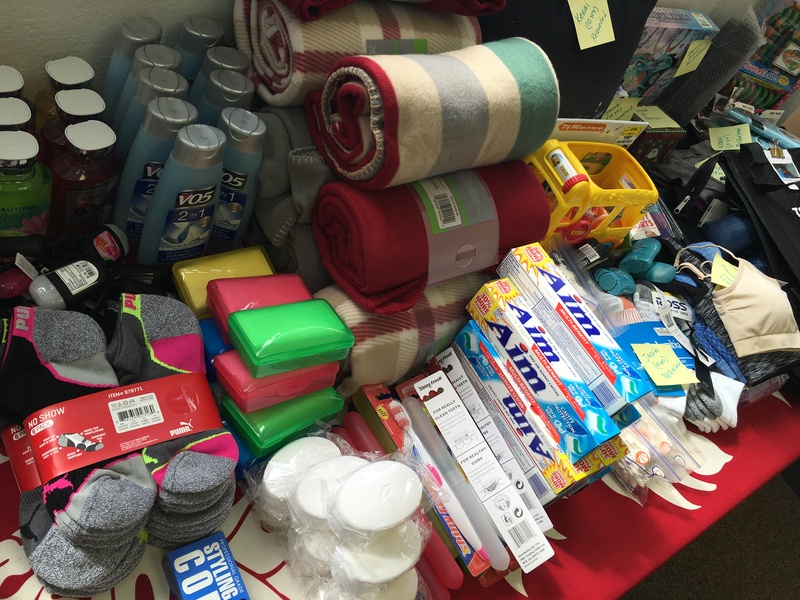 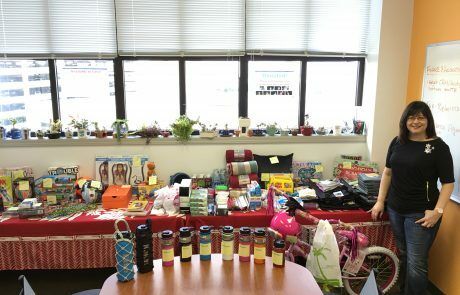 And we were grateful to receive donations from other companies and colleagues as well. 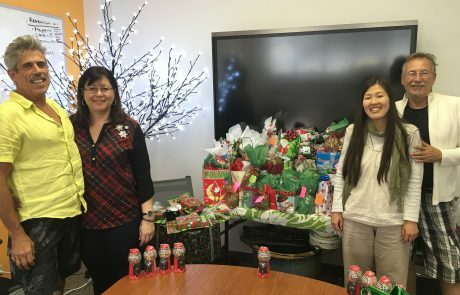 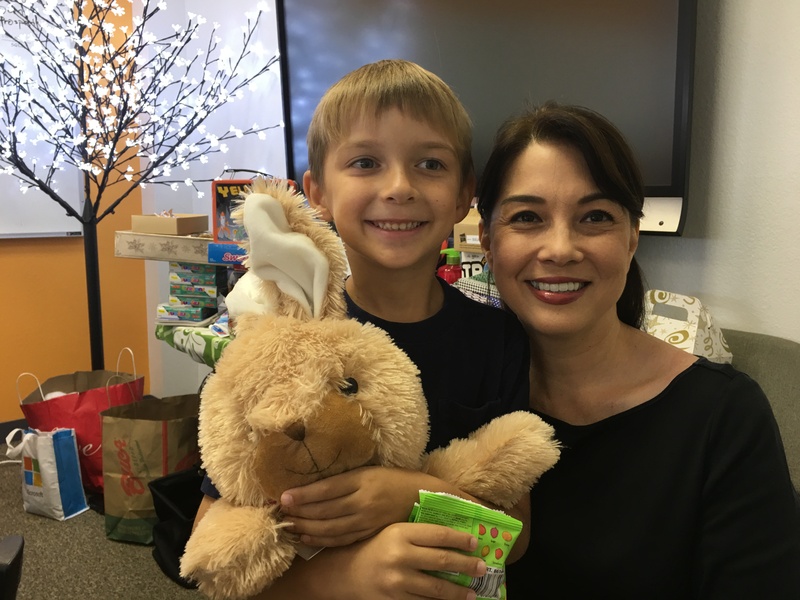 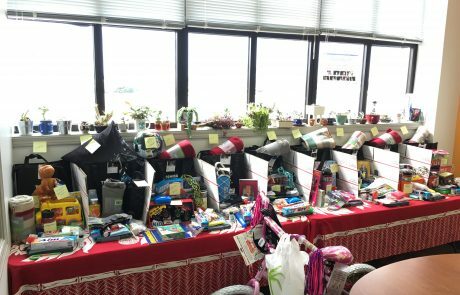 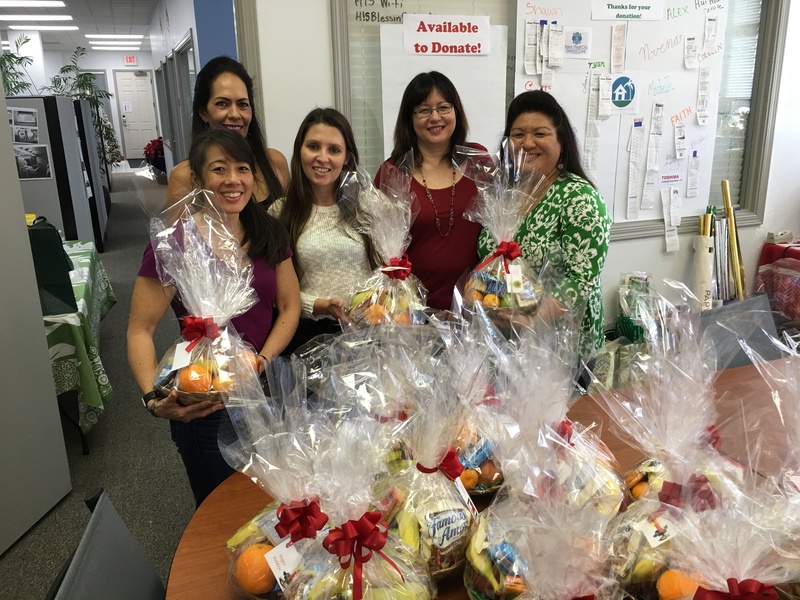 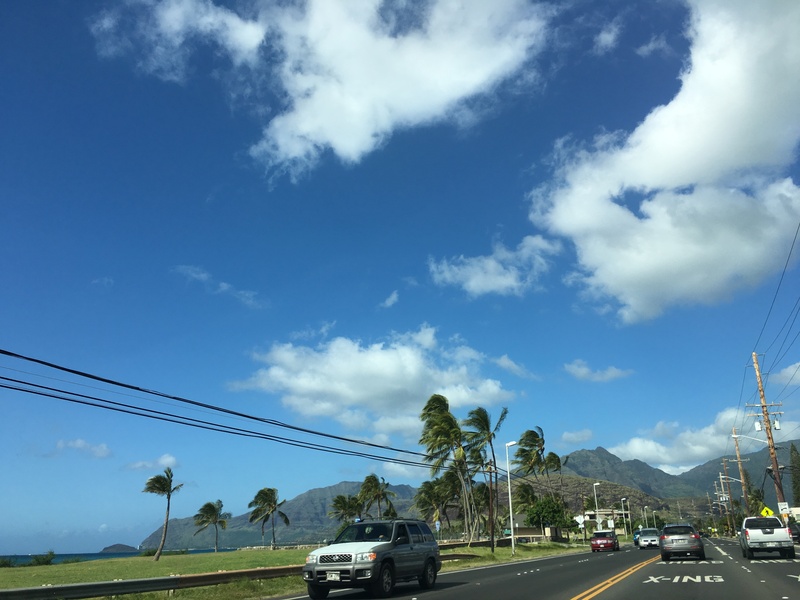 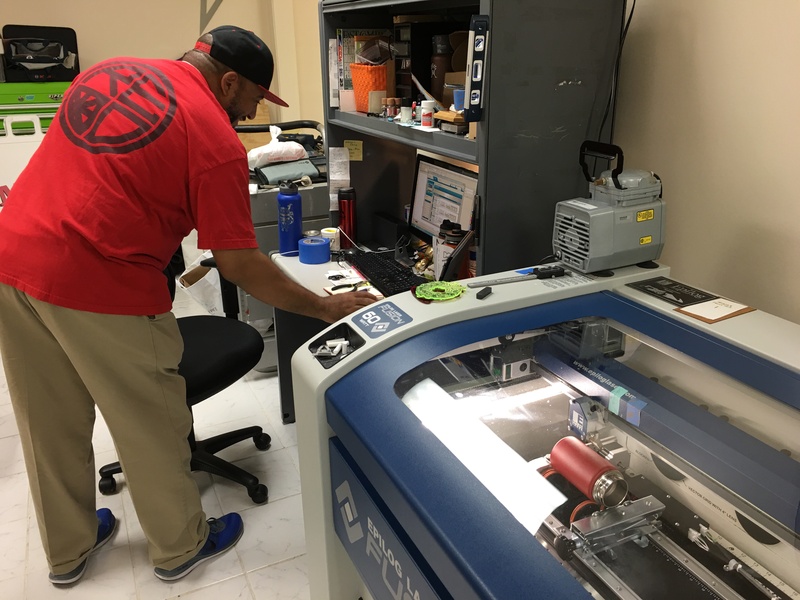 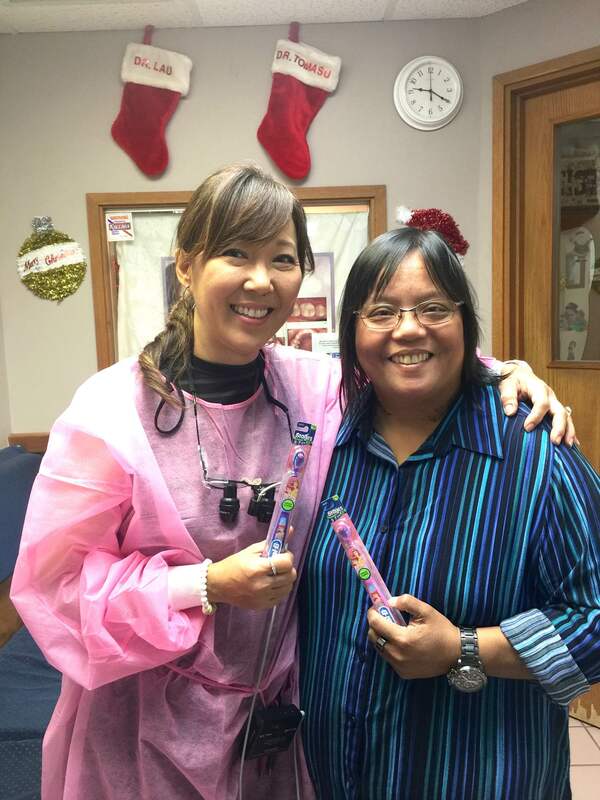 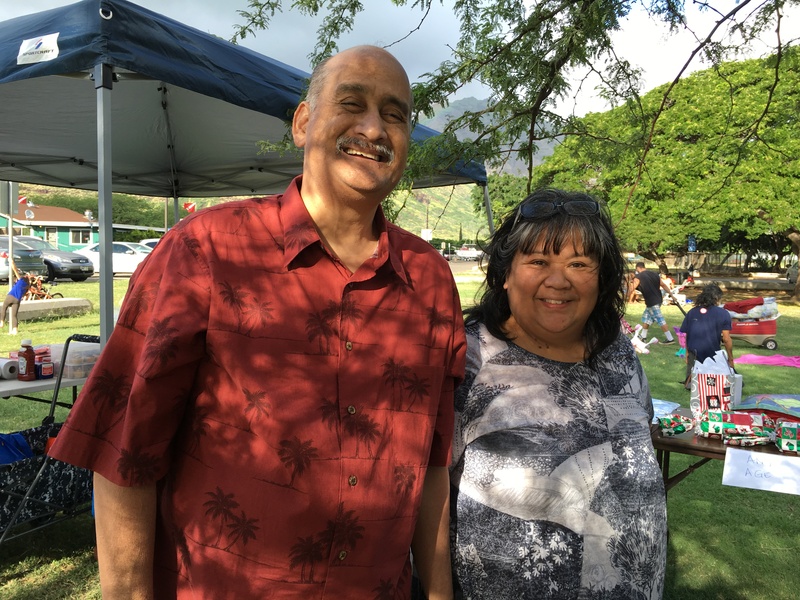 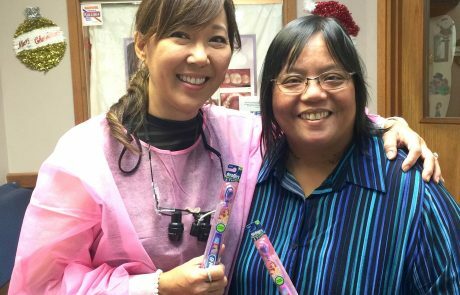 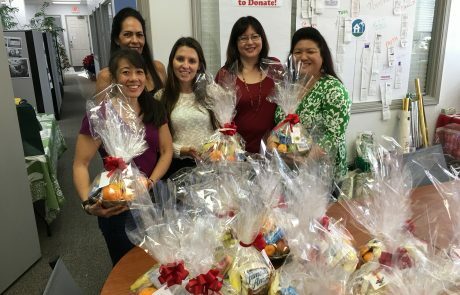 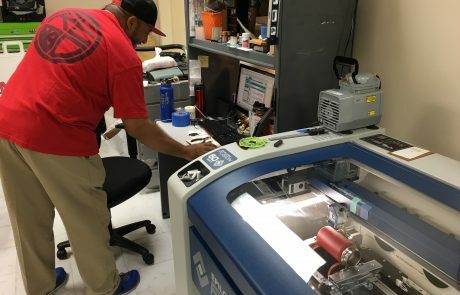 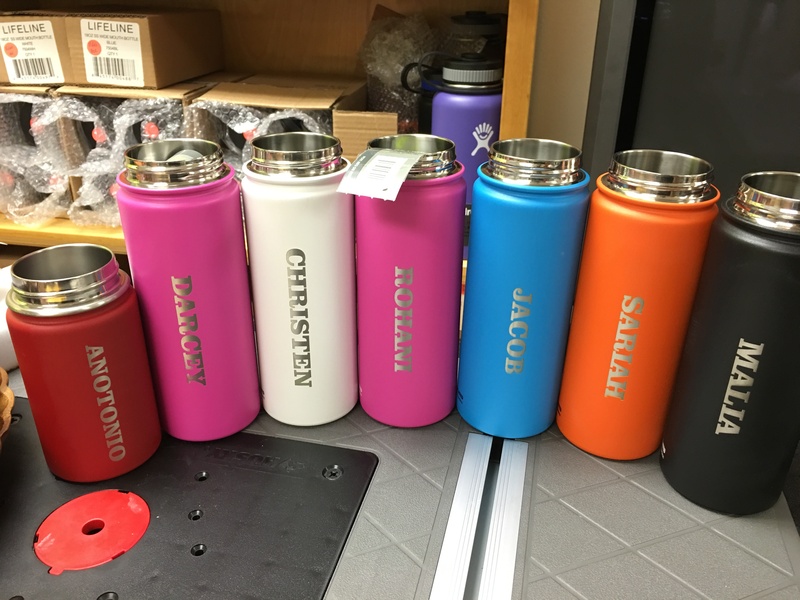 They included Toshiba Business Solutions Hawaii, Hui Ho’omalu (and through them, Hawaii Pacific Health), Dr. Kathy Tomasu DDS, Tanya Yamada, Etched LLC, and more. 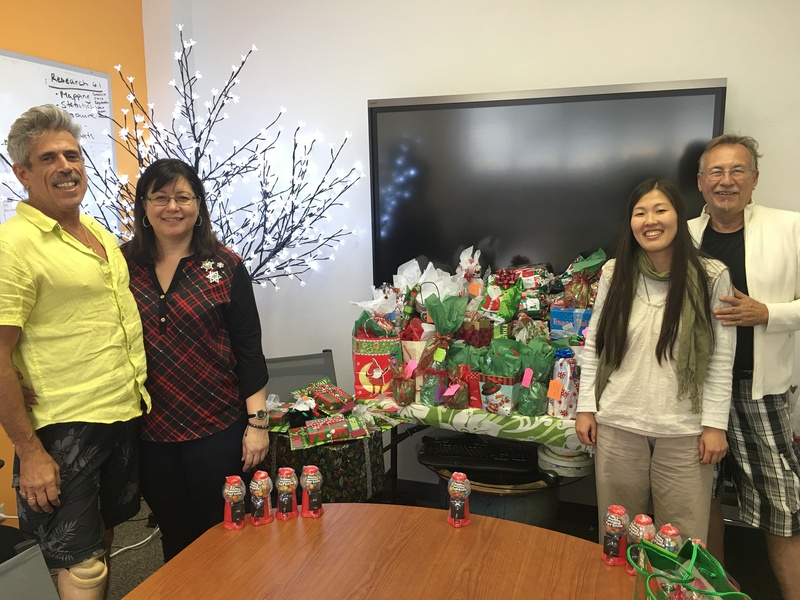 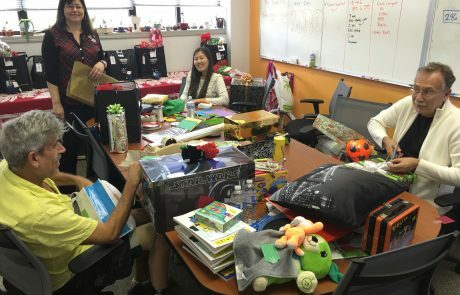 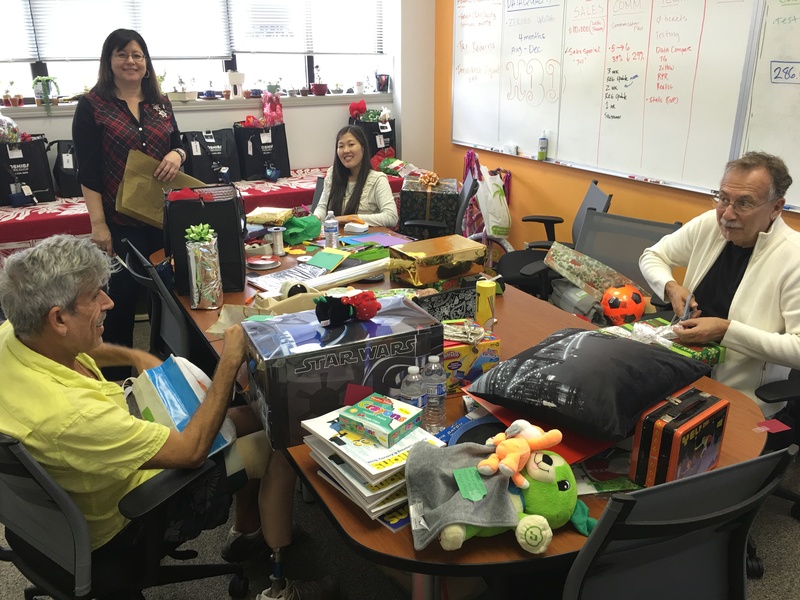 Friends and volunteers also helped wrap all the gifts last week, including Jim Corry, Evans Siskel, and Airi. 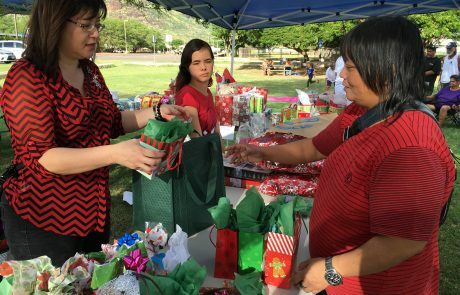 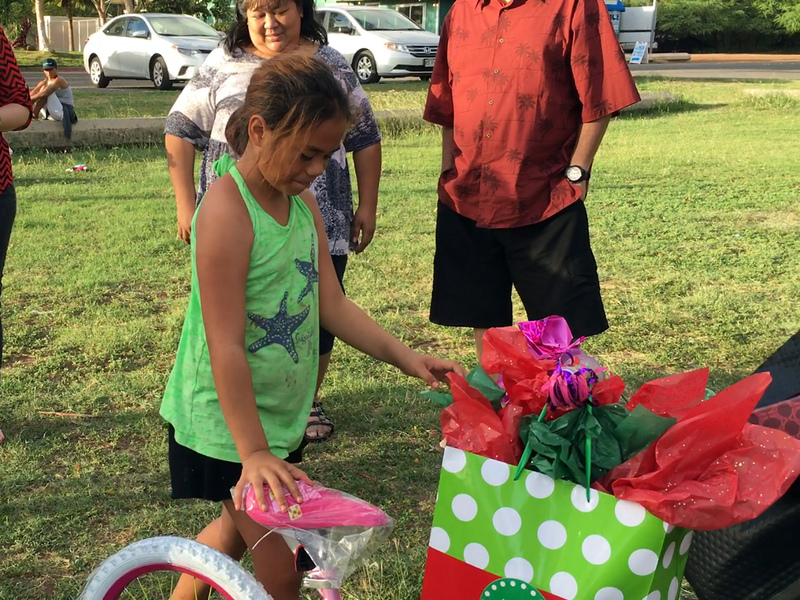 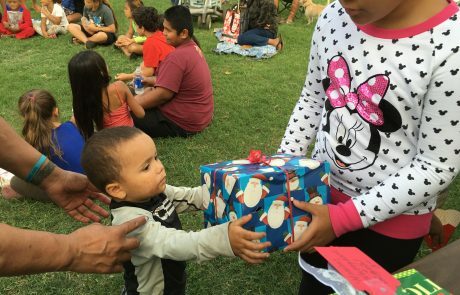 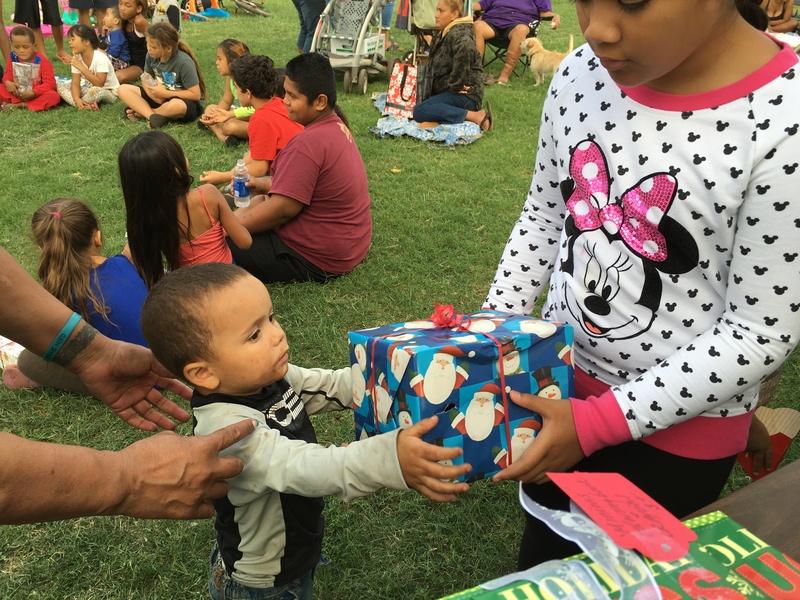 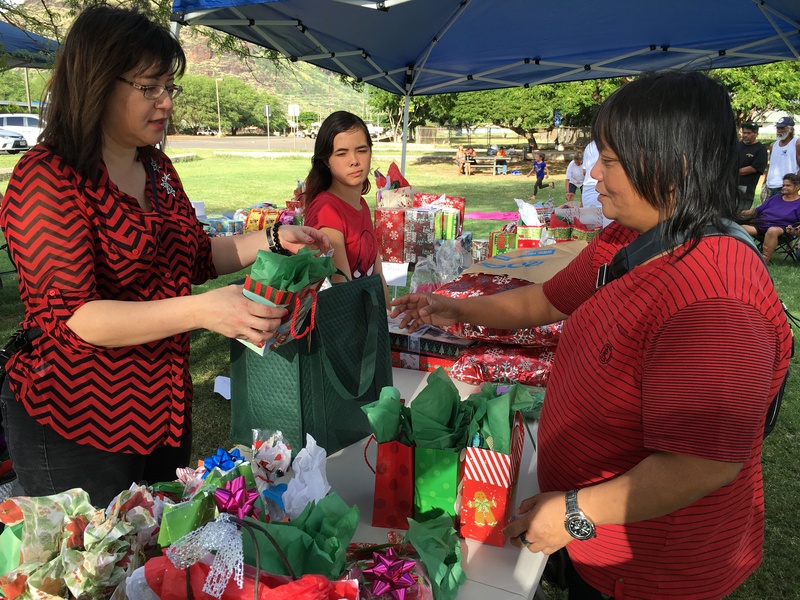 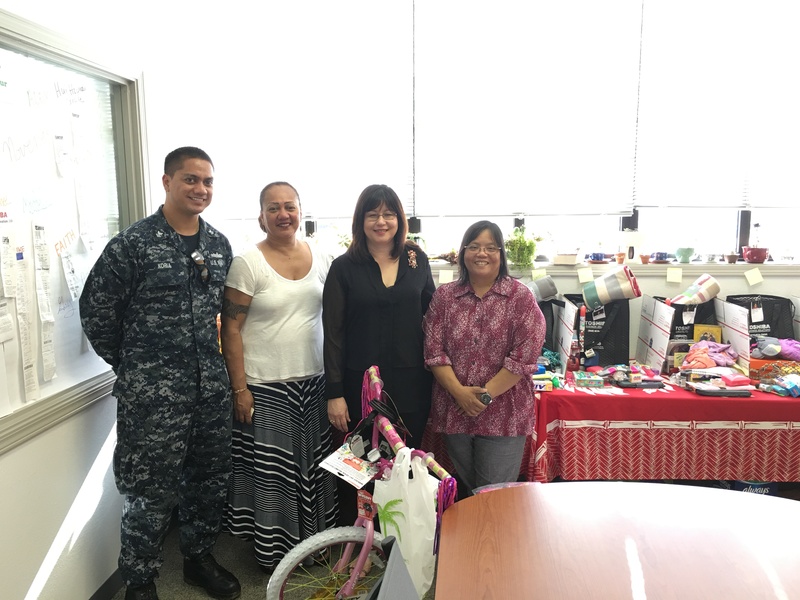 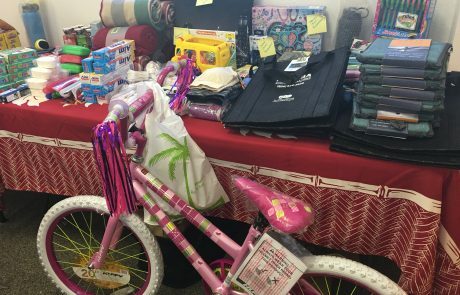 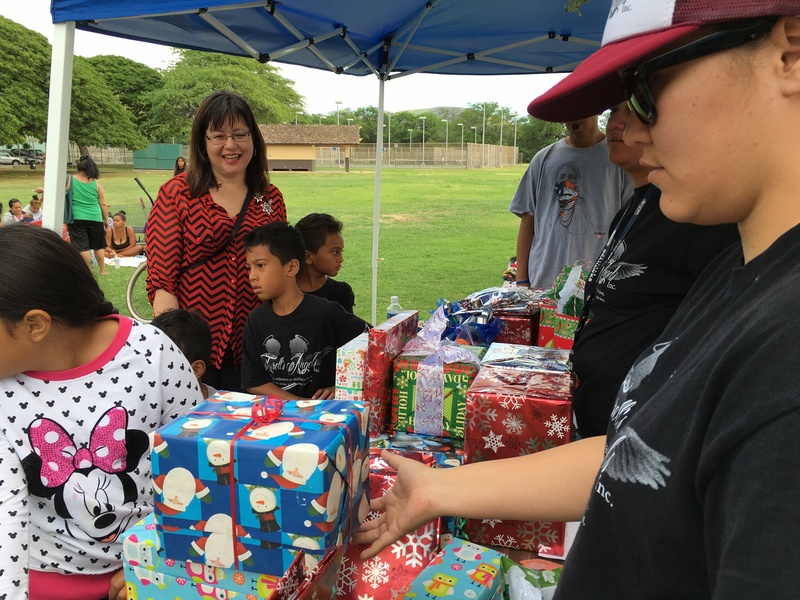 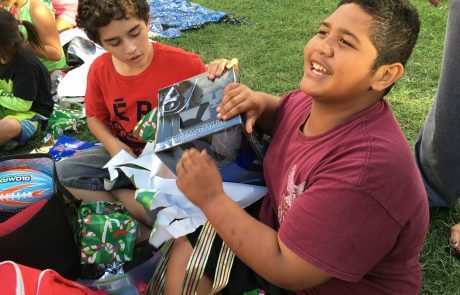 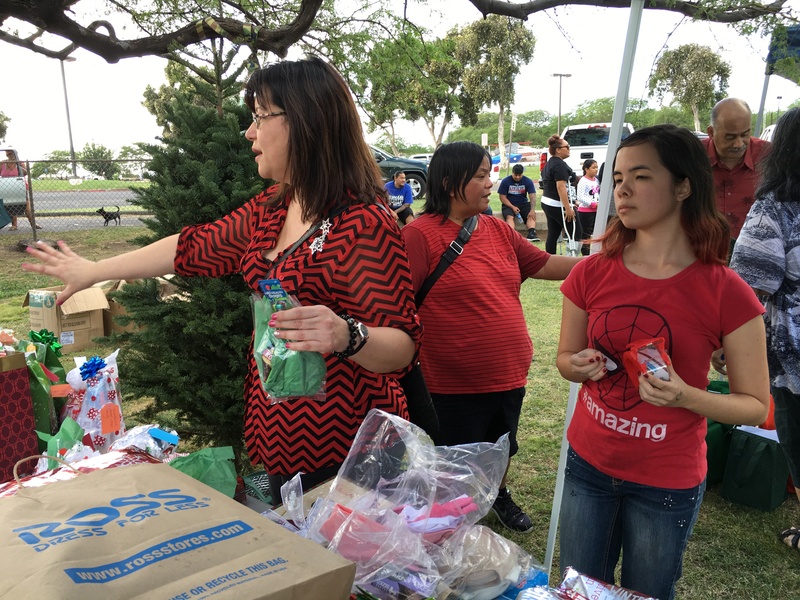 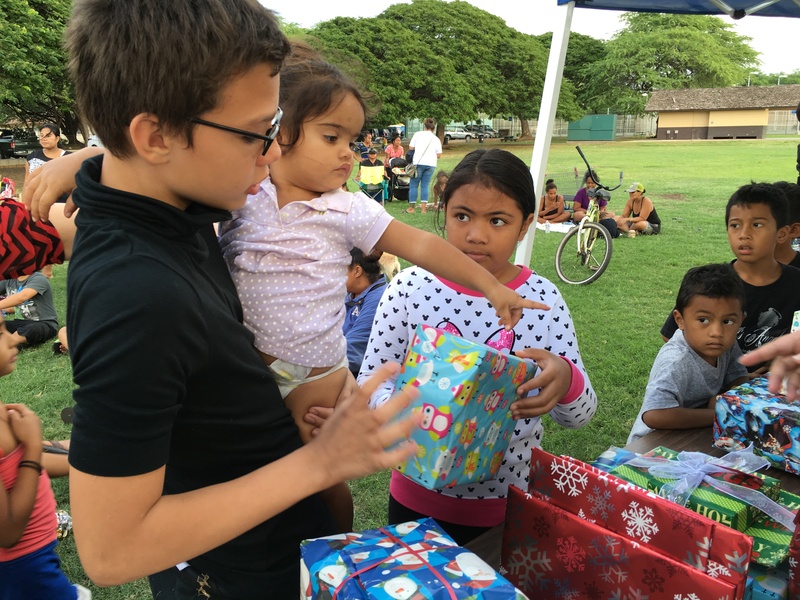 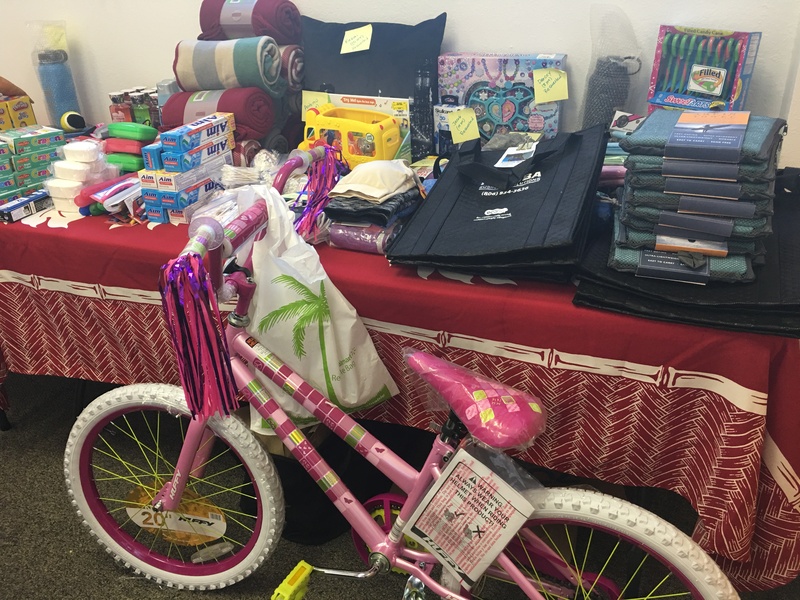 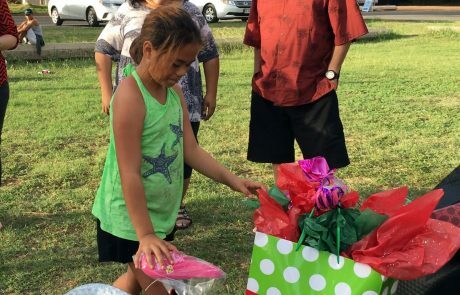 Yesterday, we were able to join Tyrell’s Angels in Waianae where an impressive family crew provided a holiday dinner and presented a bounty of gifts to the children and families of the camp, including our donations. 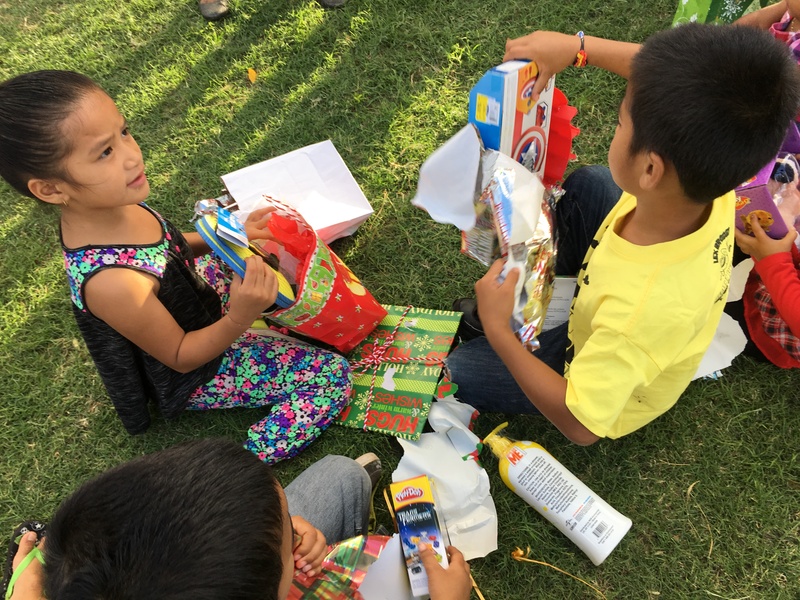 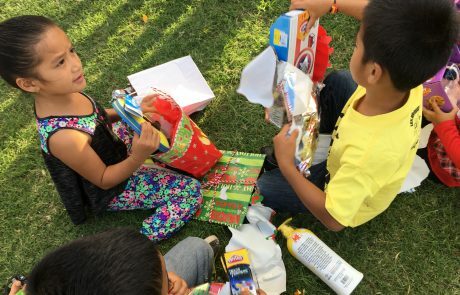 It was a beautiful day, the sun outshone only by the smiles on the kids’ faces as they opened their presents. 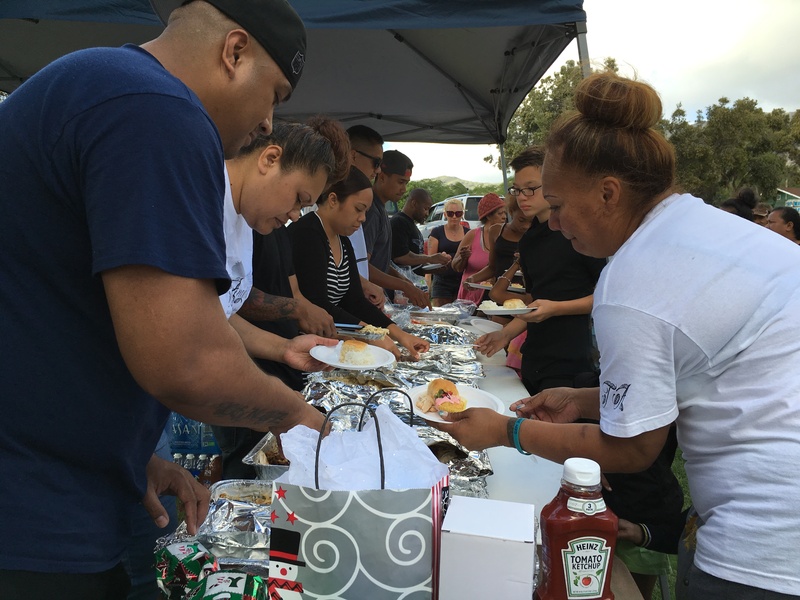 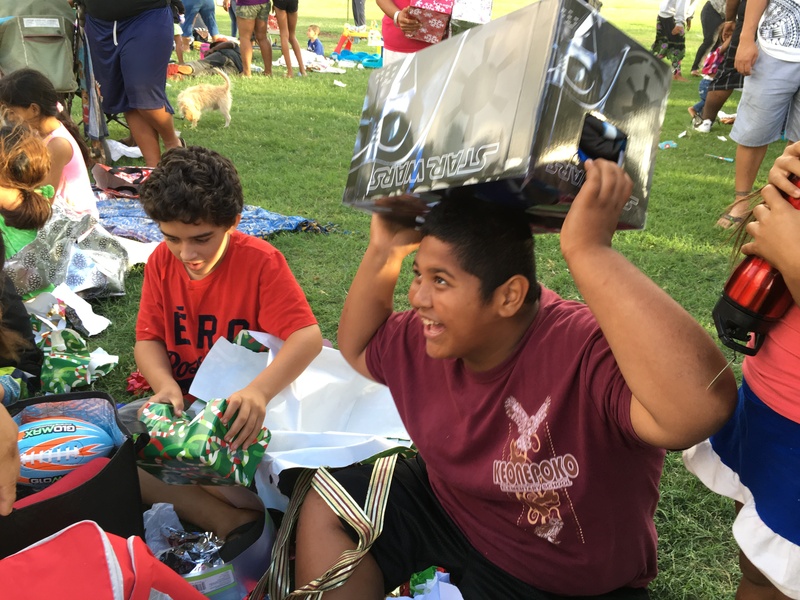 It was a moving scene of sharing and joy, and we were truly blessed to play a part in it. 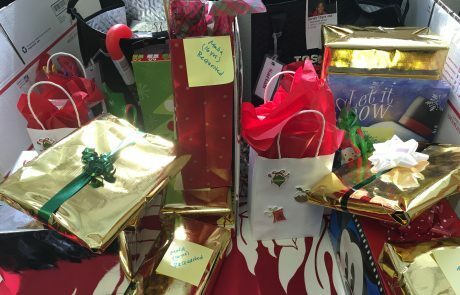 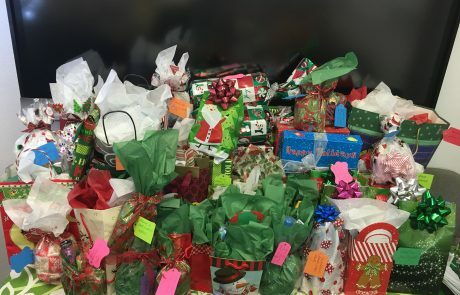 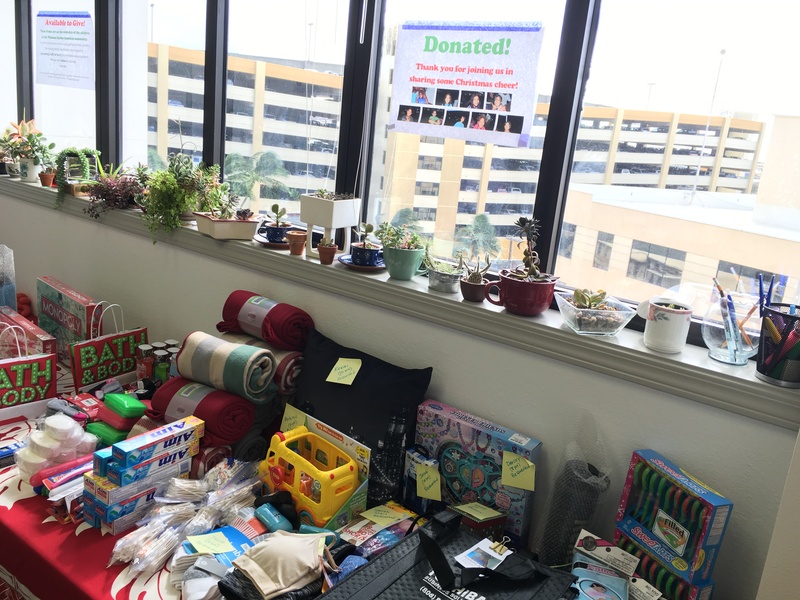 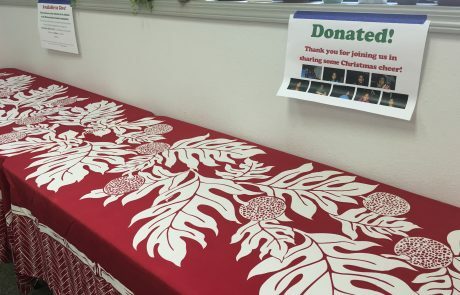 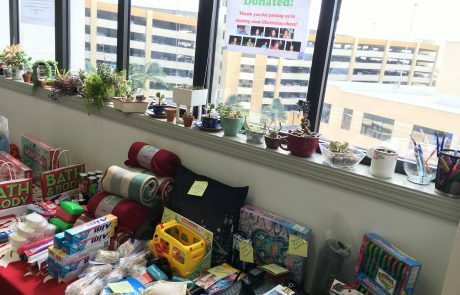 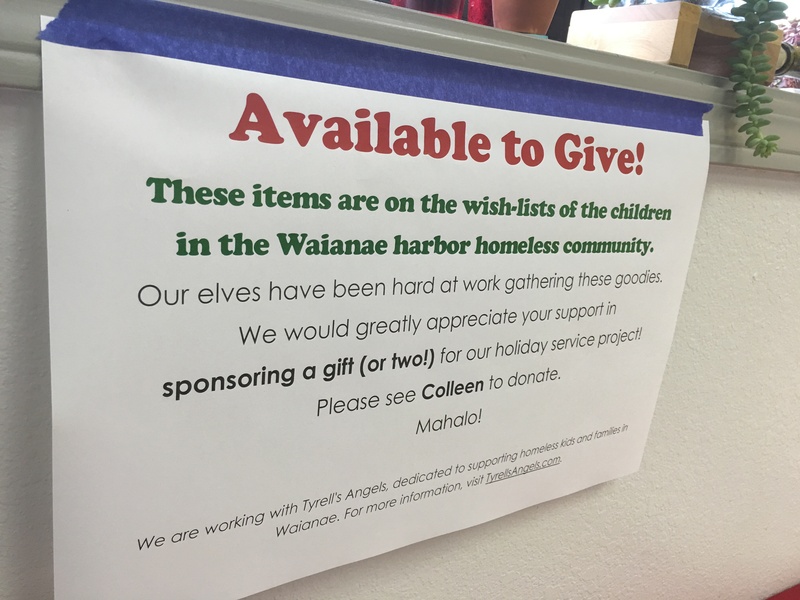 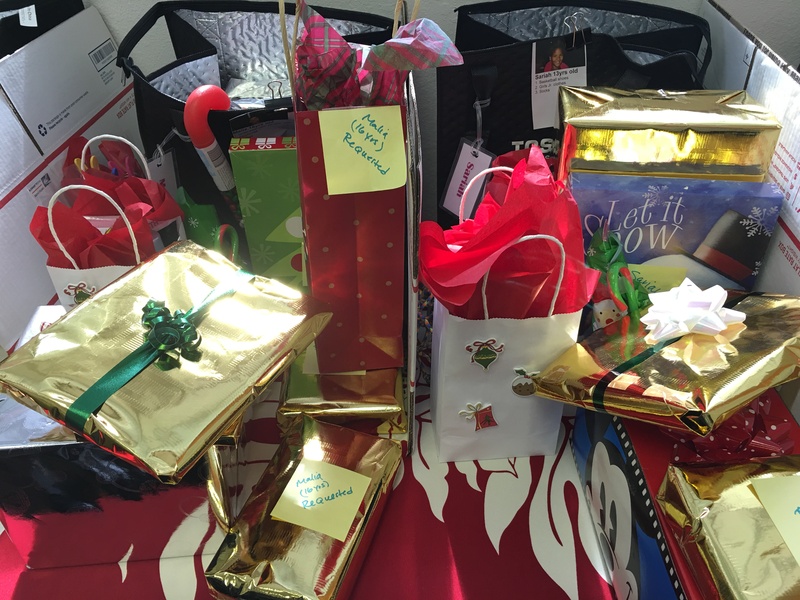 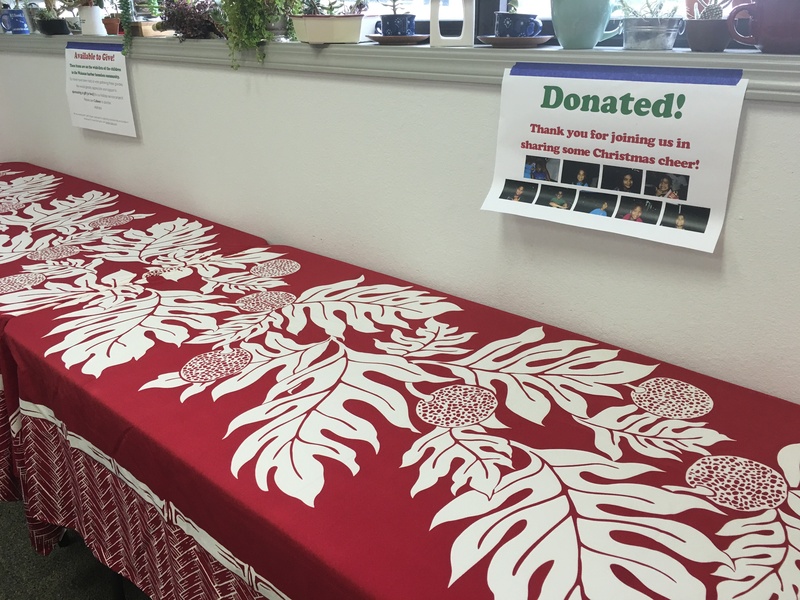 Mahalo to our big-hearted staff, and all of our generous friends who pitched in on this year’s holiday project. 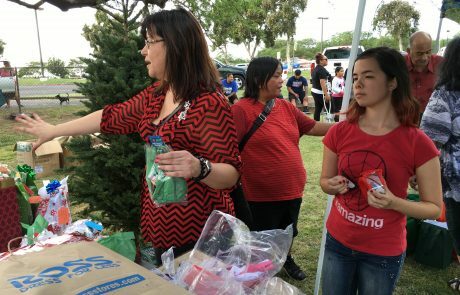 Once again, through giving, what we experienced yesterday was priceless.